Email Max Steel Co., Ltd.
About Max Steel Co., Ltd.
Max Steel Co., Ltd. distribute high quality imported special steel under DIN, AISI, JIS, ASTM grade comparison standards from Europe, Australia, America and Asia Continents such as Machinery Steel, Hot Work Steel, Cold Work Steel, Mould Steel, Heat Resistance Steel, Wear Resistance Steel, High Pressure Steel, High Tensile Steel, Stainless, Copper, Aluminum, Brass, Steel Pipe and others special grade metal. 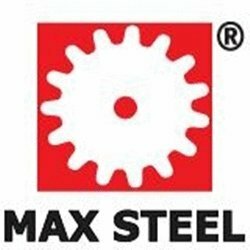 Max Steel Co., Ltd. was founded in 1995 as a privately owned company selling mainly high quality imported special steel from Germany. Our staff has been trained and equipped with in-dept knowledge foundation of Deutsch Institute Norms (DIN) German steel grade standards to readily provide technical sales and services to our customers. Today, the company distributes high quality special steel imported from Europe, America and Asia continents (using DIN, AISI, JIS, ASTM, etc. as the steel grade conversions standard). Our qualified staff can provide in-dept technical product information as Mechanical Properties, Chemical Composition, Characteristic, Heat Treatment, Application, etc. 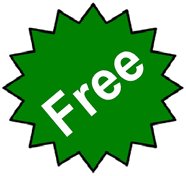 for both Special Steel and others Special Metal. These will lead to a first-class product quality according to engineering specification and standard. The company has expansion policy to select only new or alternative special steel grade standards in response to customer needs. The product has to be certified by international standards suitable for metallurgy and various fast moving machinery industries such as Industrial and Manufacturing, Energy and Petrochemical, Construction and Infrastructure, Automobile, Transportation and Logistic, Electronic Fishery and Agriculture. Our mission is to continuously improve working procedures and logistics, provide high quality special steels with efficient management, before and after sales & services beyond customers and business partners’ expectation. These key important elements will support the company growth and build a solid business foundation which takes part in assisting both government and private sectors to develop business, industry, technology and various mega projects. These are the important mechanisms to help create a better living standard for people while raising the potential of economic, social development, financial and investment for a bright future and stability.